I’ve done a few posts about the concept of social programming, brainwashing of citizens etc. because it is a key aspect of understanding yourself, society and the proactive attempt to control your thoughts and actions by “others”. Those “others” may only want to sell you stuff or they may be attempting to control your life in far more destructive and insidious ways. Yes, really! Some people ARE more than capable of that. I have compiled a mini-course here below on the concept of what is going on and how it works. Knowledge is power, so you are not inadvertently “hypnotized” by the brainwashing. These are scientifically proven techniques that have been used throughout the centuries and with dramatic success in recent decades by EVERY western government against it’s own citizens. 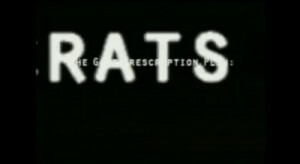 Right after the name of Gore is mentioned, the ending of the word “bureaucrats” – the word “rats” – flashes on the screen for a full second. If you stop the video and go carefully you will see this image move through the frame. This article comes from on The Vigilant Citizen, where he fully explores the idea that subliminal and semi-subliminal messages are often used in movies and music videos to communicate messages and ideas to the viewers. For a very comprehensive overview go here. 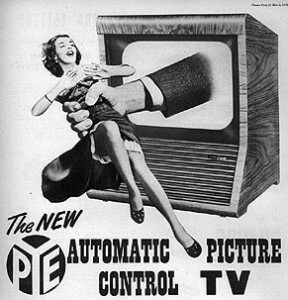 Does subliminal advertising work? British hypnotist Derren Brown does an amazing job of showing how susceptible we are to influence, distraction and programming. Well worth watching a number of his videos to REALLY GET IT. This is an edited version of the full version I saw over a year ago, that really stuck in my mind (one day do a post!) gotta find the full version for maximum effect. The trick here is that Darren carefully controlled the trip to the office and planted images along the way that the ad designers unconsciously saw and then integrated into their layout. Very dramatic example of planned influence for a pre-determined outcome that people will believe was their own idea. As discussed in ALL programming, IMAGES are the most powerful subliminal programming tool and words invoke images in your mind. In law they use the term “word magic” for a reason. Look at their drive to the skyscraper “which is up in the clouds”. -London Zoo -blue shirts with gates on them,-creature heaven sign -harp, -bear. The whole point of the ride was to inspire them subliminally. It was not magic, more of a mind f**k.
This full stage show was about an hour long setting up for this 1o minute ending which Derren uses to explain the manipulations and programming he used to control the decisions of the participants. Pay close attention this process as it happens via the media every day, to you. So the government and media control the message you are sent through books, tv, radio, movies, magazines, billboards, music videos, music and to some degree the internet. How much of your day is spent consuming all these information sources? Are you listening and evaluating with discernment or is the information, the programmed message going in and influencing you unchallenged, even if you know what is happening? Let’s look at ONE idea sold to you over and over again and I bet you STILL buy it. And why not, you’ve never heard the other side of the story, the full story, or the details of the deception. There is another post about what it is (here). It is the set of accounting books that every government operates with but you don’t know about it. I listened to this interview the other day and had a couple of BIG aha moments of understanding that really make sense…I’m gonna try and share them with you. former commodity trading advisor Walter Burien revealed the massive scope of government finance and investments, all funded by U.S. taxpayers. There are some 184,000 separate government entities in the US, each with their own assets (in the trillions), and “when you look at collective government, both federal and local, they’ve taken over the banking industry, the brokerage industry,” and corporations that trade on the stock market are 60-85% owned by collective government, he claimed. The public is unaware of this, as there’s been a total blackout of information about these collective totals for the last 65 years, he added. The idea is that government INVESTS the money they take in and those investments in the stock markets and other funds means that the government EFFECTIVELY has control of the corporations and PROFITS when the corporations make more profits. But these investments are not reported on. All we hear is DEBT, DEBT, DEBT, WE MUST BALANCE THE BUDGET. Secondly, governments borrow from organizations that governments have invested in. Taxpayers pay the interest and the lenders, owned by governments profit (which means the governments profit too). I did another post here about the idea that if you spend more than you make you will go broke. Simplistically that is the story we are SOLD by government BUT they never tell us about all the ASSETS that are hidden away. Those assets are worth TRILLIONS of dollars and governments are busy promoting a billion dollar deficit like it is the end of the world….because they want to raise taxes, implement user fees and cut services so they make even more money. Walter Burien’s idea is that taxation should be phased out, as the truth is the government’s annual investment income is greater than all annual taxation collected. My question is where is all the money that has been stolen and is supposed to belong to the people? It is the old magicians trick of look over here while they get away with something over there. Watch this commercial for a computer software company telling the story of how empires are maintained over thousands of years. Some of the visuals should be familiar. This is from the late 1980’s or early 1990’s. Pay attention to the blending of ancient Emperor of Rome with modern society and technology. Which words and images catch your attention? For those wanting to travel further down the rabbit hole of deception based on symbols, images, media and all of the philosophical and behavioral programing you have been subject to watch this… it is long, in depth and will shine a new light on some beloved concepts while it shows you the underlying game that is being played against us. The powerful institutions have maintained power for literally thousands of years. How do you think they have achieved this feat? Luck?